The book covers a lot of “behind the scene” information and technical details about India’s satellite and missile program (SLV-3, Prithvi, Agni, Trishul, Akash and Nag). This might interest technically inclined readers but is sure to put off readers who bought the book to get to know Dr Kalam or his principles/ideas. Space and missile programs are massively complex projects and managing them is extremely challenging. 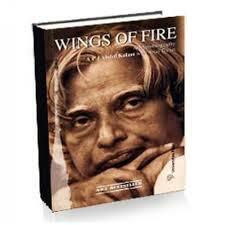 The book does give a glimpse of the participatory management technique adopted by Dr Kalam, but as it would suit most of the readers, it doesn’t go much deep. Through Wings of Fire, I got an opportunity to know some brilliant people like Dr Vikram Sarabhai & Dr Brahm Prakash, who worked behind Indian space research program. The book also shows 24 rare photographs. I personally found the ones from the early days of Indian space program extremely interesting. This fact alone is worth the price of the book!